With spring around the corner, thoughts go to outdoor activities, and it’s always nice to include some community volunteer projects among the things we do. Crab team members count and measure crabs caught in shallow waters on Zelatched Point in Jefferson County. Team members are part of a major effort to locate invasive green crabs before they gain a foothold in Puget Sound. As social media consumes more of our time, I’d like to consider the real values of dedicating some time to volunteer work: meeting people, enjoying friends, helping those in need and learning about new things. On the environmental front, a wide range of activities allows people to find something that fits their style — from improving parks to battling invasive species, from teaching kids about nature to helping plan for a better ecosystem. In Kitsap County, many volunteer jobs require no training. But those who are able to get some training — such as becoming a Kitsap Beach Naturalist — may find some expanded opportunities. Training for 30 beach naturalists will begin in April, and people are advised to sign up early. Go to Brown Paper Tickets or contact Lisa Rillie, (360) 337-7157 #3244 or lrillie@co.kitsap.wa.us. WSU Kitsap County Extension has compiled a list of volunteer opportunities (PDF 300 kb), some requiring special training and some not. Kitsap County parks need volunteers for tasks ranging from trail maintenance to planning for improved forest ecosystems. Visit Kitsap County Park Volunteer Program. Monthly water-quality monitoring is underway for Clear Creek, both the stream and estuary. Contact Mary Earl for details and schedule, (360) 434-7665. Volunteers also are needed for salmon releases this month as part of the Salmon in the Classroom program. See schedule and sign-up list. SEA Discovery Center, Poulsbo’s marine science center, offers monthly training for a variety of volunteer opportunities. For information, visit the SEA Discovery Center website. No advance training is required to help monitor changes in the native Olympia oyster population as part of an ongoing restoration effort. For details, email Sylvia Yang, sylvia.yang@wwu.edu. 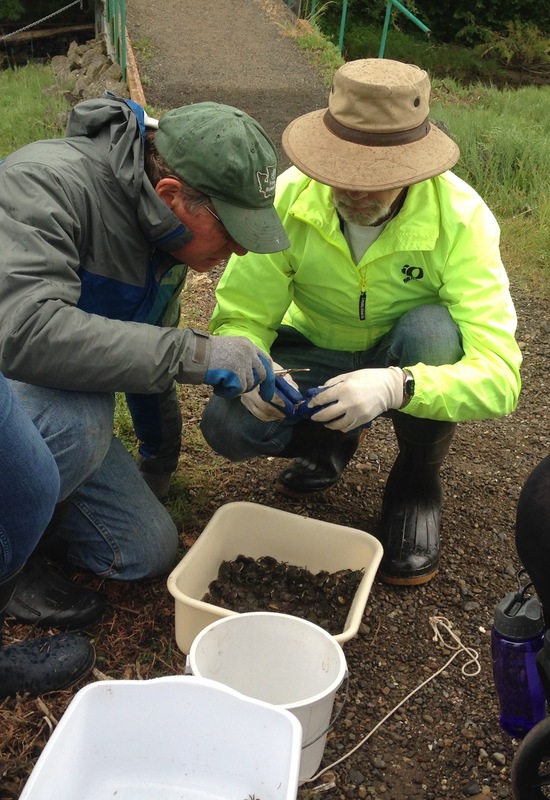 Kitsap Public Works is seeking volunteers to monitor amphibian eggs in area stormwater ponds, particularly those ponds that have been “naturalized” as wetland habitat. The program includes brief in-field training. See sign-up sheet for details and contact. In Clallam County, the Marine Resources Committee is offering training to help recover wildlife in the event of a major oil spill. One’s own interest can point to possible volunteer efforts. Inquire at your favorite museum, animal shelter, community theater, library, emergency management office and so on. If anyone knows of other volunteer opportunities of interest, feel free to add them in the comments section.